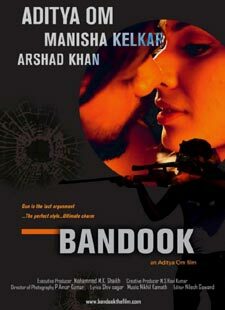 Shortcut Mein Gundai Lyrics of Bandook : Shortcut Mein Gundai is a beautiful hindi song from 2013 bollywood film Bandook. Altaf Raja and Raju Bhavsar has sung this song. We also have 'Shortcut Mein Gundai Video' for you. Jeete hain thaath baat se..
Bhagenge maar ke dekho eent re..
Haye.. haye.. haye.. haye.. haye.. haye..
Raja samajhte khud ko... haan..
Jo cheez inko bhaayee inke baap ki hui..